Barb Haddeman, is the founder & trainer of Alert Paws Dog Training, LLC. Barb started her dog career as a child, growing up with Chesapeake Bay Retrievers and a stray Miniature Poodle who adopted her. She learned grooming and canine husbandry, trained multiple animals and species to co-exist within the household, and was always finding ways to get the dogs to pull her in a cart! Barb went on to work in a boarding and grooming facility that also trained protection and guard dogs, and as a veterinary assistant in a small animal hospital. In 1985, she began training and competing in obedience with her then Doberman Pinschers, and was soon teaching public obedience classes with Santa Rosa Dog Training Club, and later was an Apprentice Instructor at Guide Dogs for the Blind in San Rafael, CA. Barb has extensively studied dog behavior and comprehensive training methodologies. 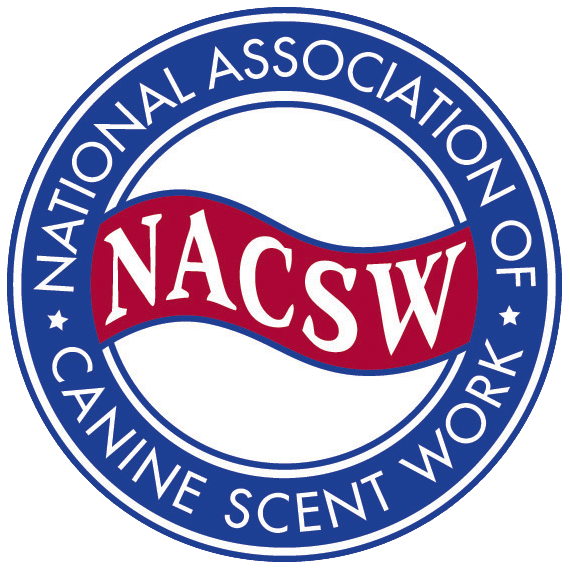 She became involved with K9 Nose Work® in 2012, began teaching and became a Certified Nose Work Instructor (CNWI™) in 2016 with the National Association of Canine Scent Work (NACSW™) when she was fascinated by how dogs scent odors, and how odor works in various environments. She is also a Certified Bio Detection Dog Trainer, and member of the Association of Professional Dog Trainers. She has trained in agility, competed and titled in Rally, and now primarily competes and has titles in K9 Nose Work® with her two Australian Cattle Dogs, and rescue Yorkshire Terrier. Barb lives near the Sacramento, CA area with her husband, their three dogs, one cat, and several chickens. Barb also has a Baccalaureate degree in Nursing, and continues to work as a Registered Nurse part-time. She combines her love of dogs, teaching, science, and learning in her positive approach to teaching people and their canine friends in the art of Nose Work.